Elmwood Muttathon – Dog Fun Run for Pet Emergency Fund | Dash Dog Running, Inc.
Join us for a tail-wagging good time. 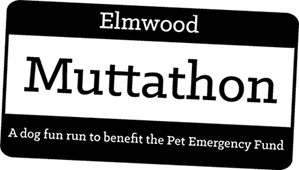 Dash Dog Running is proud to partner with Animal Outfitters in presenting the Elmwood Muttathon – a dog run run to benefit the Pet Emergency Fund. Come run with your dog around the Elmwood Parkways – or sign up to have a professional dog runner do it for you. When: Saturday, November 1 from 10 a.m – 12 p.m.
Pre-registration recommended – especially for reserving an appointment with Dash Dog Running. Walkup runs available on a first come, first serve basis. What time do you plan on participating? 10:00 - 10:30 a.m.10:30 – 11:00 a.m.11:00 a.m. - 11:30 a.m.11:30 a.m. – 12:00 p.m.